See what Santa Cruz has to offer when the flowers are blooming. 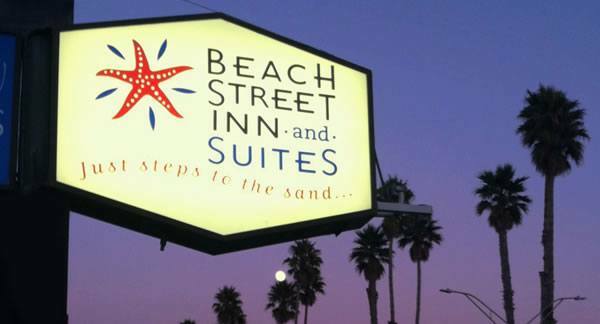 Beach Street Inn is your hotel by the beach that’s in the middle of it all! Looking for a meaty burger or a sweet treat? Check out some of our favorite restaurants with options to please every palate. Located directly under Beach Street Inn & Suites, their seasonal menu featuring local farmers, foragers and artisans offers a multitude of delicious options just steps from your room. *Pro tip: The ice cream featured is from the famous Penny Ice Creamery. Grab a cone and enjoy the crashing waves on the beach right across the street! Head downtown for the freshest ingredients sourced at the height of their season. Assembly also features several local wines and beers, (and if you’re in the mood for a burger, their West Cost Burger is to die for!). Plus, it’s only about a 15 min. walk to downtown from Beach Street Inn & Suites. *Pro tip: There is a pop-up restaurant located right next to Assembly featuring different chefs throughout the year. The Picnic Basket is featured there currently, so you can check out some dishes that aren’t on their regular menu! Located at the tip of the Santa Cruz Municipal Wharf, Stagnaro Bros. has been around since 1937 serving up the freshest fish in the area. For a classic, order the clam chowder bread bowl, you won’t be disappointed! You can check out the rest of their menu here. *Pro tip: You can also order to-go and sit outside on a bench overlooking the ocean! Whether you’re looking for relaxation or adrenaline, Santa Cruz has plenty of options to entertain you! Please check back soon for upcoming local events! For a full list of the events happen in Santa Cruz this fall check out http://www.santacruz.org/upcoming-events. For more info on all things Santa Cruz, go to www.santacruz.org!